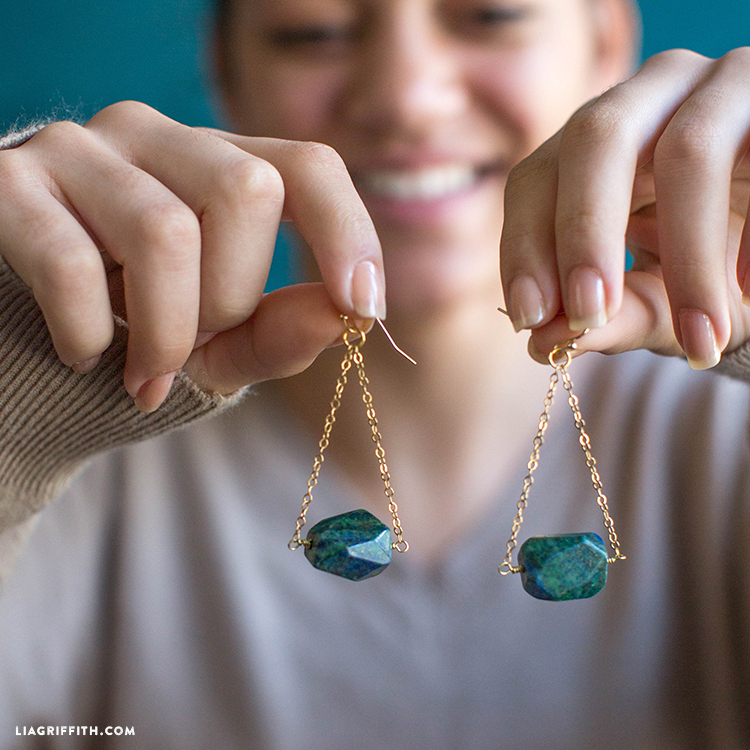 Our DIY trapeze earrings will send you flying! 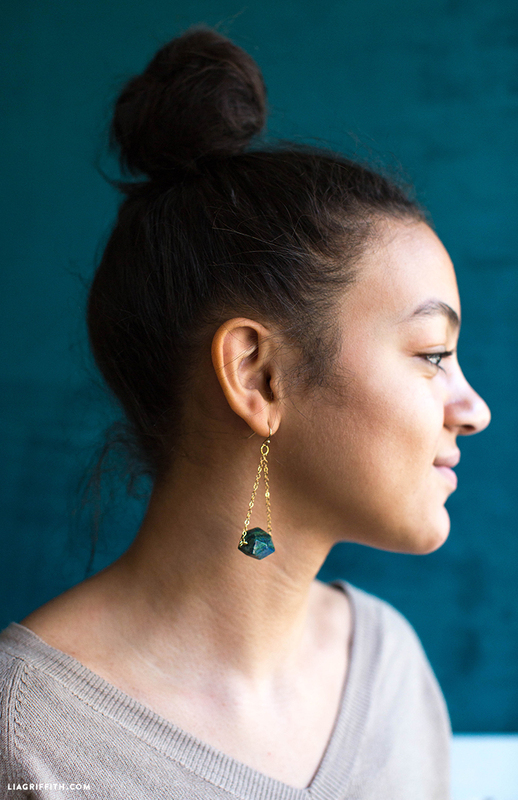 DIY jewelry is one of our favorite ways to add some unique personal style to any outfit. 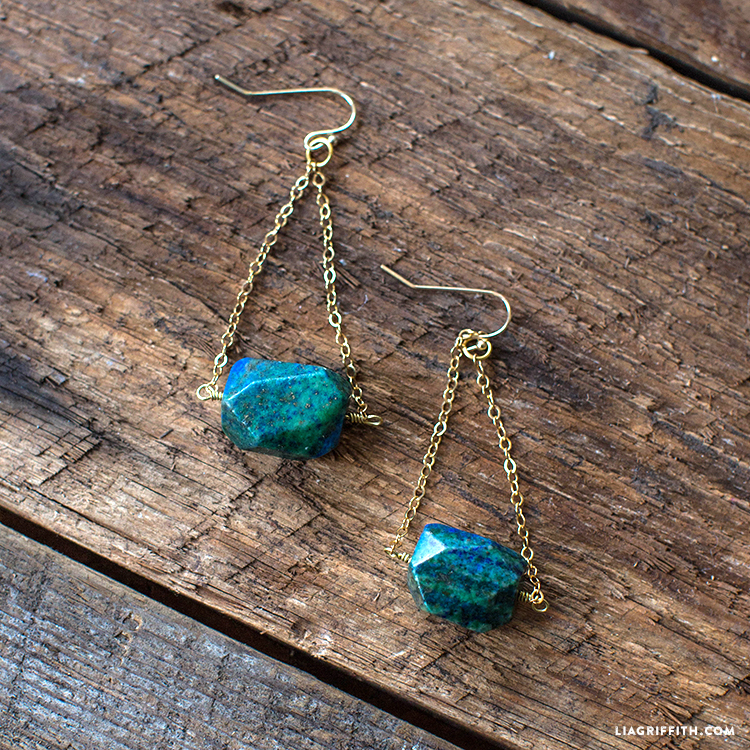 These particular earrings are so easy to craft and the results are incredibly elegant. 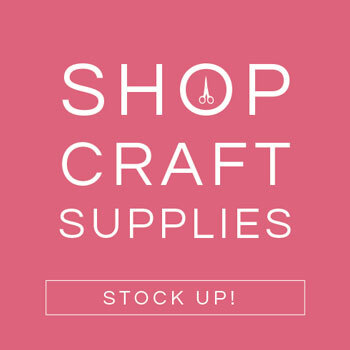 With just a few simple supplies and steps, make a pair for yourself and then craft more for friends — they make for an undeniably gorgeous gift. 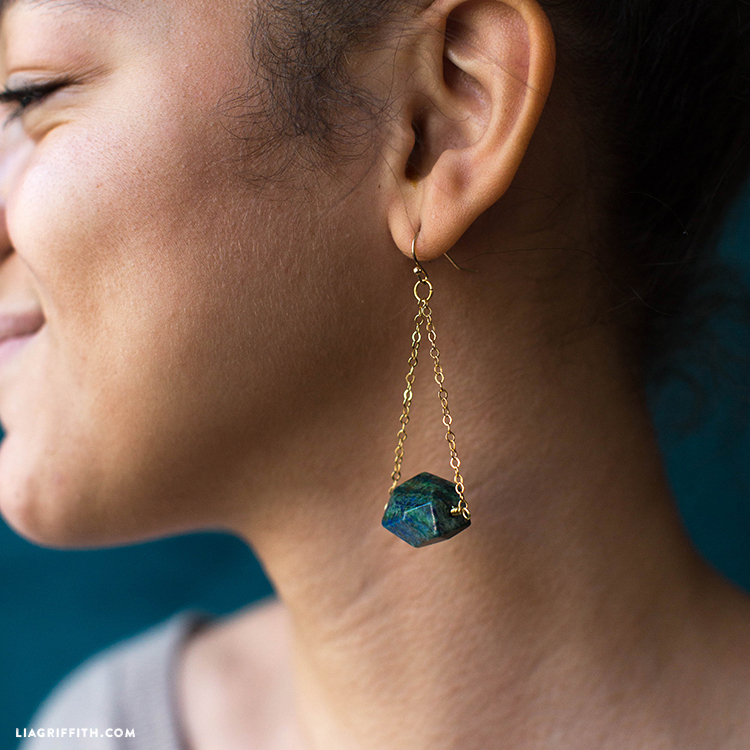 For extra help in creating these earrings, craft along with our DIY jewelry-making video tutorials below! 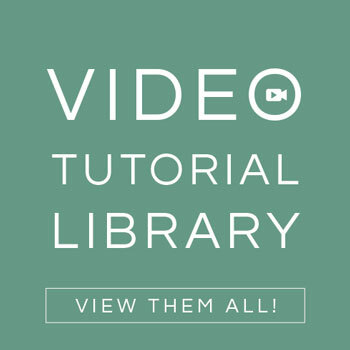 Use pliers to create a loop using the wrapped loop technique. Cut chain to about two inches, then attach the end of the chain to the loop. Wrap wire around to finish the wrapped loop technique. Cut off excess wire. Thread a stone bead onto the end of the wire. 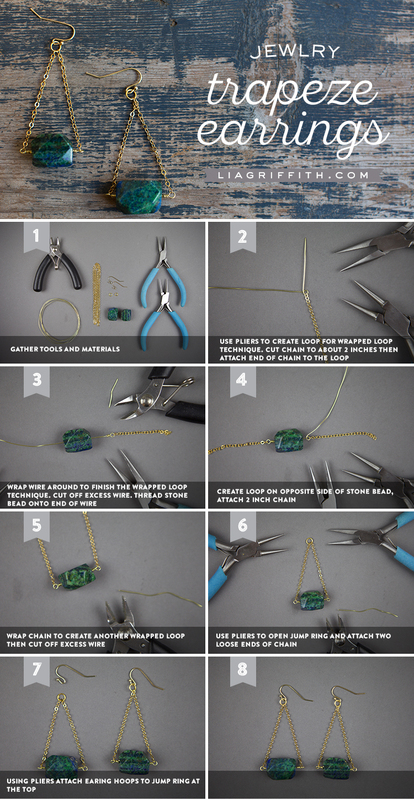 Create a loop on the opposite side of your stone bead. Attach the two inch chain. Wrap the chain to create another wrapped loop, then cut off any excess wire. Use pliers to open a jump ring and attach the two loose ends of your chain. Using pliers, attach earring hoops to the jump ring at the top. Loving these earrings? 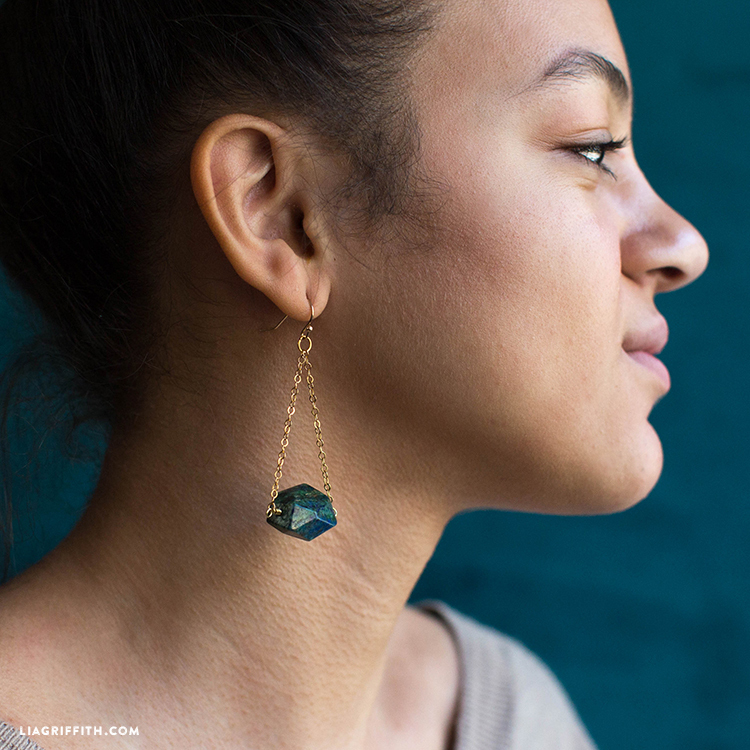 Find more DIY jewelry inspiration here. 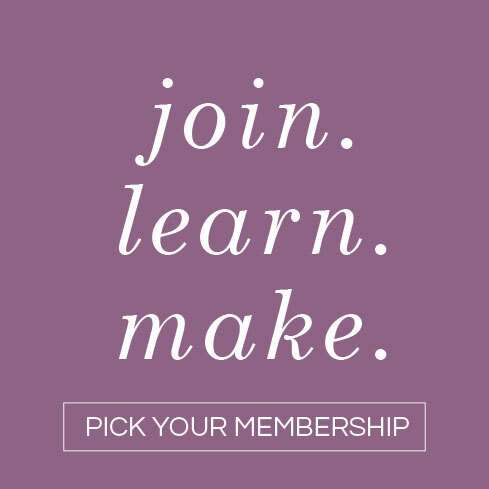 And if you haven’t already, join us on Instagram, Facebook and Twitter today! Wow these are beautiful! Where did you get the stone beads? Thank you! We found them at our local bead shop (Dava Bead & Trade) but are looking around for something similar we can source online– stay tuned!